Appliance & Air Care Experts, Inc.
North Texas can be quite the challenge for home cooling and heating systems. While taking a good force of Texas summers, the Big D still sees its fair share of winter conditions. They may not be anywhere near as harsh or as prolonged as the northern central plains states, but Dallas homeowners still need a quality heating system for both the comfort of their homes and a reasonable monthly utility bill. Traditional heating systems in Dallas may have been the best you could do when they were installed and still serving you well, this many years later, but eventually your system is going to fail, if it hasn't already. Knowing what your options are when the time comes is critical to making a wise decision for your home's immediate comfort and its long term well being. Radiators and boilers are truly old school when it comes to home heating. Ironically, most people agree they produce a much more comfortable, moisture-laden heat that won't dry out your skin or leave your toes cold and your face flushed. Still, reducing the cost of heating systems was the priority back then, and furnaces and forced air systems overtook these older systems, particularly in places like Dallas where home heating is still only used a few short months and doesn't need to be a luxurious installation for many homeowners. 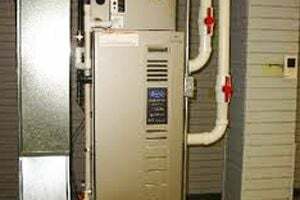 These furnace and forced air heating systems remain the standard, but it's not a stretch to say they're on their way out as newer, more energy-efficient systems are already on the market and making noise. In fact, now is the time when a prudent homeowner might start looking into these new systems. If your furnace does go out but requires only a small fix, by all means, spend a hundred dollars or two to get it up and running. Beware, however, that your furnace may be getting to the point where it needs to be replaced. Newer model furnaces are substantially more energy-efficient than units of 20, 10, or even five years ago. This is never a bad idea, especially since you probably won't need a high-capacity furnace to combat frequent sub-freezing temperatures. An even better idea, however, is to talk to a Dallas heating system contractor about some of these heating alternatives. The most promising heating system in Dallas is probably a heat pump. Heat pumps work by exchanging for warm and cold air particles between your home and the outside air. They are extremely energy-efficient and don't cost as much to install as other energy-efficient systems. The one drawback is that they may not be the most reliable heating unit, especially during extremely cold spells. Hydronic heating, or radiant floor heating, systems essentially replace the traditional boiler/radiator heating systems. You'll still need some type of primary heat source, but hydronic systems use the power and efficiency of radiant heat to minimize heat loss, providing an extremely comfortable and energy-efficient home heating system. The cost effectiveness of this system really depends on the nature of your flooring and how easy it will be to install the necessary tubing for such a system. Geothermal heat pumps and solar panels are two alternative Dallas heating systems. Both require large initial investments for long-term benefits. The upside to these types of systems is that they can be used for heating and cooling, generally give substantial tax credits, and comprehensive systems can eliminate monthly energy bills altogether. Note: For heat pumps, you're going to need to do some homework, as the cost of a heat pump varies exponentially ($1,000-$10,000) depending on heating and cooling capacities. Your best idea is to simply talk to a contractor. If you only need a basic heat pump for your heating purposes, there's a good chance you can find a model that is comparable, or even cheaper than, replacing your furnace or boiler. Comment: Bathroom counter top and floor. Comment: I would like to get an estimate for Project Info Task Name: Batt, Rolled or Reflective Insulation - Install or Upgrade Type of Insulation Reflective or radiant barrier Detailed Description: I need Radiant Barrier installed in the top of my house (attic). Dallas Heating & Furnace Contractors are rated 4.78 out of 5 based on 6,486 reviews of 140 pros. Not Looking for Heating & Furnace Systems Contractors in Dallas, TX?